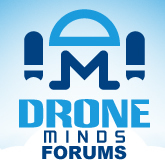 Discussion in 'General Drone Forums' started by Jonathan, Mar 15, 2017. However, I also discovered this one today which looks interesting - though this is only touted as a 'fishing drone' I quite like the design. But I think the underwater drone should name U-Boot not dorne..
Oh yeah, totally forgot about ccrov. I don't think U-Boot or Submarine is a good description, it is not a submarine. Most people in the business called them ROVs or UROV etc, remotely operated vehicle. However, if it has any kind of autonomy Drone is a good name. Underwater Drone just helps describe its environment. Fathom App: Drone can fully controlled from the Fathom App, physical controller optional, can upload photos and video to social media from app. The Pioneer underwater drone comes from Norway and is made by a startup company called Blueye. Dear TechPeople and Gadget-Lovers, listen up. We need your feedback and support for our upcoming Kickstarter campaign, launching our one-of-a-kind submarine robot. We developed it for spicing up a day at the beach, exploring or examining caves and grottos around you, or whatever makes you day a little more exiting – We provide it. We now give a handful of people the chance, to get a glimpse of the future of personal robotics, and be part of it. So, what do you think? Do you like it? Can you benefit from it? Is it something worth your time? As you might have seen in the short video, Allec will feature both drone and robotic functionality, a camera, and a control unit - you and your other gadgets ;-). It looks all right, but what makes this underwater drone "one-of-a-kind", apart from how it looks? It is not only a drone, but also a robot. Which means i can can be programmed to do tasks by itself, wire free. It also recognizes objects on its way and a lot more. We will announce full specs and features later this month. Feel free to subscribe to our Facebook for updates or questions best regard. Does it have arms to pick things up? Don't use fb will wait for someone else to update here if anything cool happens with it. Does it have arms to pick things up?.... Don't use fb will wait for someone else to update here if anything cool happens with it. I have a look on the facebook page, there is not a lot of information there but I think it will not pick objects up? I think it will not have arms and gripper? It seem like a small size project. That looks pretty awesome. Be great to check out Lake Mead with it. Want to check out the newest gadget in underwater robotics? Allec can record, light, swim, and understand the world around him, all automatically. It looks ok, but I think people would want to see more video taken by Allec, rather than video of Allec moving around? I’m saying you main sales pitch, the first video you see, should be like 60 or 70% footage and images captured by the drone. Whatever happened to the trident rov they said it will be released in 2017 I think? so where is it?! All these fundraiser projects are useless lol!